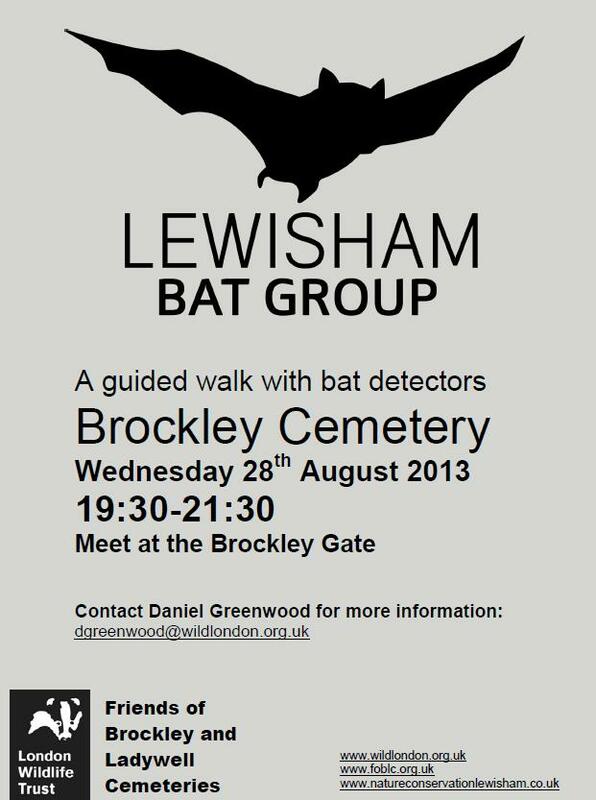 Daniel Greenwood from the London Wildlife Trust will be leading a bat walk at Ladywell and Brockley Cemeteries. The walk will start promptly at the Brockley Road gate at 19.30. As the Cemeteries are closed to the public at that time, late arrivals will unfortunately not be admitted. The walk may not last the full two hours as it depends if any bats are detected. Please be aware that if the weather is not suitable at the time, the walk could be cancelled without notice.